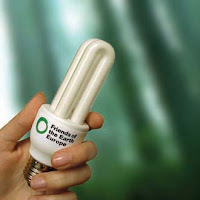 Have you already exchanged your light bulbs with energy saving ones? This discussion with my dad today reminded me that we also have to "walk the talk"... and that everyone can do something against climate change, step by step. First the light bulbs, energy saving, waste reduction through recycling, one day a hybrid car? We also should raise our voice to increase the pressure on our politicians to set the right framework. Jeffrey Sachs' Earth Institute has hosted a Global Roundtable which issued a consensus statement for global cooperation to meet the world's growing energy needs while also protecting the environment. Nearly 100 global companies and organizations have already signed on. Add your voice here! If you are in Sydney, additionally support the Earth Hour! Speaking German? Read this interesting SZ-interview with Jeffrey Sachs (in German).